Tore Sveälv is an Investment Manager and Business Development Manager at GU Ventures AB, having the mission to commercialize new high-tech inventions for a better tomorrow. 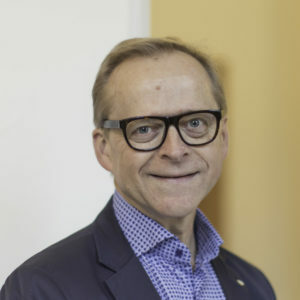 Tore joined GU Ventures in April 2010. He has a broad international experience within the area of blue biotechnology, cleantech and life science. He has previously served as the Chief Executive Officer at Food and Health Concept Center in Gothenburg. He has also been the Chief Executive Officer at the Institute of Aquaculture Research in Norway and Business Unit Manager at Chromogenix AB. Tore holds a Ph.Lic. in Biology from Oslo University, and is educated in Corporate Management at IFL in Stockholm.